Maybe you have had your iPhone for a long time. You want to reset it, give it to your elder son and purchase a new device. Maybe you were on a budget and ended up purchasing a second-hand iPhone. However, when you arrived home after a long day at work, you realized that the device still had the previous owner’s data in it. The above situations are just a few examples of the common situations which may require you to reset your device. 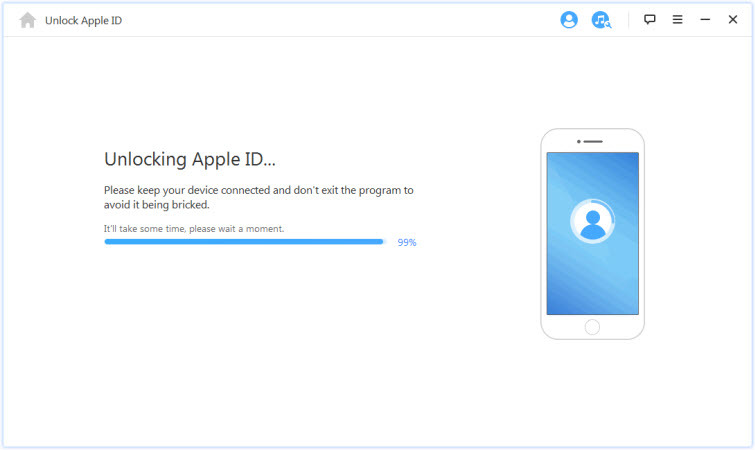 When you try to reset the iPhone, you may realize that you do not have its Apple ID password. While this can take away all your hopes of being able to reset your iPhone, it shouldn’t. It is possible to reset an iPhone without its Apple ID password. This article will show you how to do it. If you cannot reset your iPhone because you do not have the device’s Apple ID password, you can remove the Apple ID from the device as well as reset your iPhone. All you need to accomplish this is a tool known as iMyFone LockWiper. LockWiper will remove the Apple ID from the iPhone even if the Find My iPhone feature is already on. The tool is not complicated to use. It works extremely quickly. Reset your ACTIVATED iPhone or iPad without password, whether “Find My iPhone” is on or off. 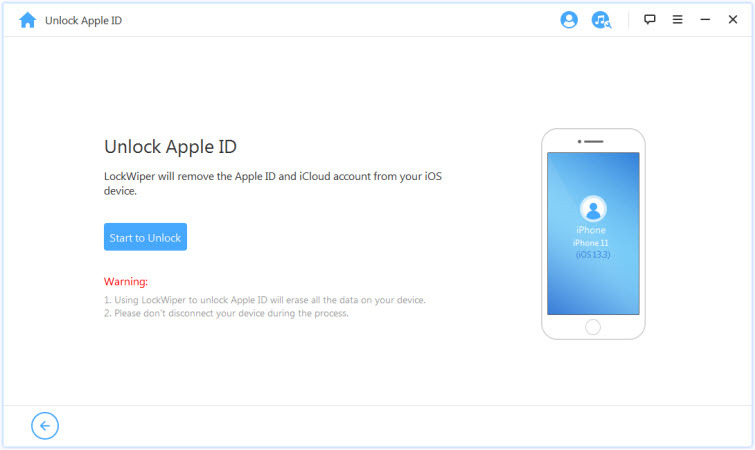 Also remove Apple ID and iCloud account from iPhone when resetting. You can log in with a new Apple ID to your iPhone after resetting via LockWiper. You will be able to take full control of your iPhone and enjoy all iOS features. Your iPhone won’t be tracked or blocked by the previous Apple ID. Note: iMyFone LockWiper can only reset activated device, which means you should have full access to your device settings. Step 1: Launch LockWiper on your PC. Connect the iOS device whose Apple ID you need to remove to the PC using a USB cable. Step 2: Select the “Unlock Apple ID” mode. Tap “Start to Unlock”. Step 3: LockWiper will immediately start resetting iPhone and removing the Apple ID. It will take you a few seconds. Note: If "Find My iPhone" is enabled on your iPhone, follow the steps on LockWiper to reset all settings on your iPhone. LockWiper will try resetting your iPhone when it restarts. When it’s done, you can set it up with another Apple ID or even create a new Apple ID. You can use iTunes's recovery mode to restore your iPhone without Apple ID passcode. But sometimes, this would not be easy to operate. Step 1.Open iTunes and connect your iPhone to computer. Step 2. While the phone is connected, forces restart it until recovery screen shows. For iPhone 8 and later, press and quickly release Volume Up button, press and quickly release the Volume Down button, keep pressing Side button until you see the recovery-mode screen. For iPhone 7/7 Plus, hold Side button in combination with Volume Down button until you see the recovery-mode screen. For iPhone 6s and earlier versions, press Home button in combination with Side button until the recovery-mode screen appears. Step 3. When the Restore or Update appears, press Restore. iTunes will download necessary files and perform apple password reset. But note that, if it takes more than 15 minutes, your iPhone will exit the recovery mode. You will need to repeat step 2 and step 3 until it finally completes the process. If it takes more than 15 minutes, your iPhone will exit the recovery mode. You will need to repeat step 2 and step 3 until it finally completes the process. The method is complicated and hence may take too much of your time. If “Find My iPhone” is enabled on your device, your iPhone will be stuck at the iCloud activation lock page after restoring. It requires the Apple ID password to set up your iPhone. "Find My iPhone" should be disabled on your iPhone. If your iPhone has been set up with restriction passcode, you should know the passcode. Step 1. Launch "Settings" and choose “General”. Step 2. Scroll to the bottom of the screen and tap on "Reset". Step 3. Press the option “Erase All Content and Settings”. If you forget your Apple ID, you can retrieve it by the following method. 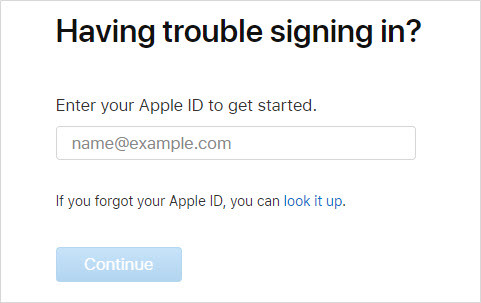 Go to icloud.com page, and then go to the "Forgot Apple ID or password?". Enter your Apple ID and click "Continue". 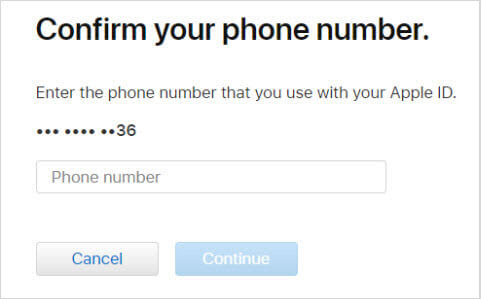 Enter your phone number that you use with your Apple ID. Click "Continue" to proceed. Your iPhone will receive a message with instruction. Follow that instructions to finish resetting your password. It is possible to reset your iPhone even if you do not have your Apple ID password. The only option you can use that does not have any limitations is iMyFone LockWiper. If you are worried that LockWiper may not solve your issues, you can use its trial version to confirm whether it will be able to work for you before paying for it.